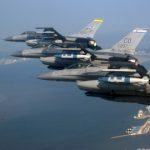 Lockheed Martin (NYSE: LMT) has secured a potential $1.6 billion order to perform upgrades to the United Arab Emirates’ F-16 fighter aircraft, The National reported Sunday. 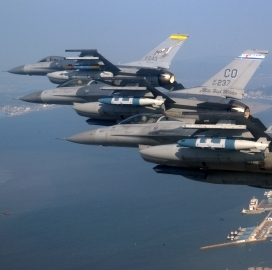 The report said UAE’s armed forces entered numerous defense deals with U.S. companies, which include an agreement for Lockheed to modernize 80 F-16s. Lockheed CEO Marillyn Hewson told The National that the company has seen increased demand over the past year from Gulf countries, particularly for air and missile defense systems, amid security challenges in the region. Lockheed is undergoing government processes for potential deals to deliver the Terminal High Altitude Area Defense anti-missile defense platform to Saudi Arabia as well as additional F-16s to Bahrain, Hewson added.